rayray, Scottishgal and Ladybug2011 like this. Thanks for typing out the details. 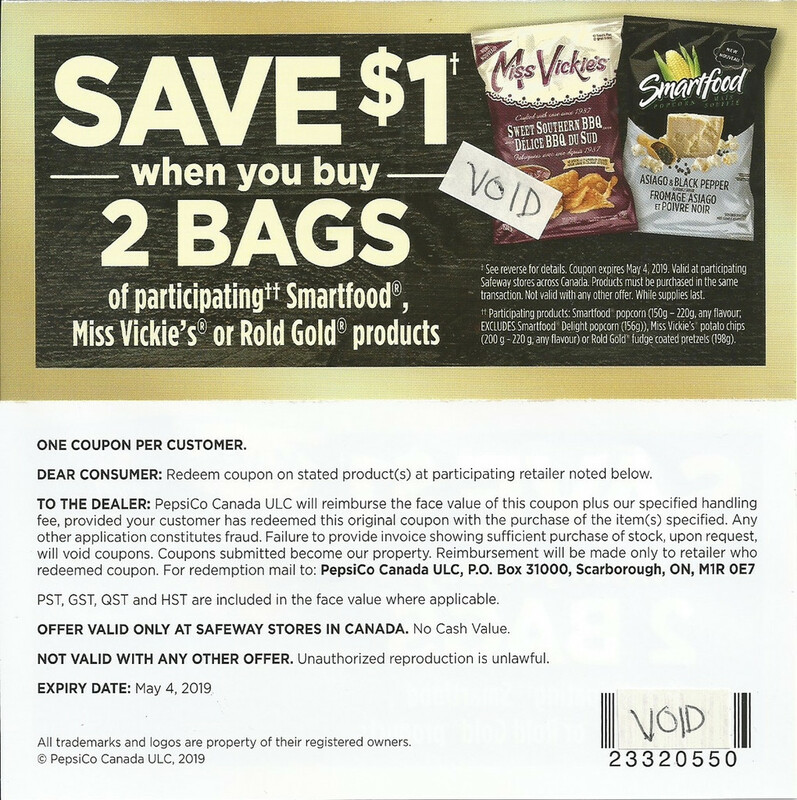 I found these these at a Safeway store in Vancouver and they seem similar but are store specific (valid only at Safeway stores in Canada). Perhaps there are some other versions. rayray, kool_105, Scottishgal and 3 others like this. 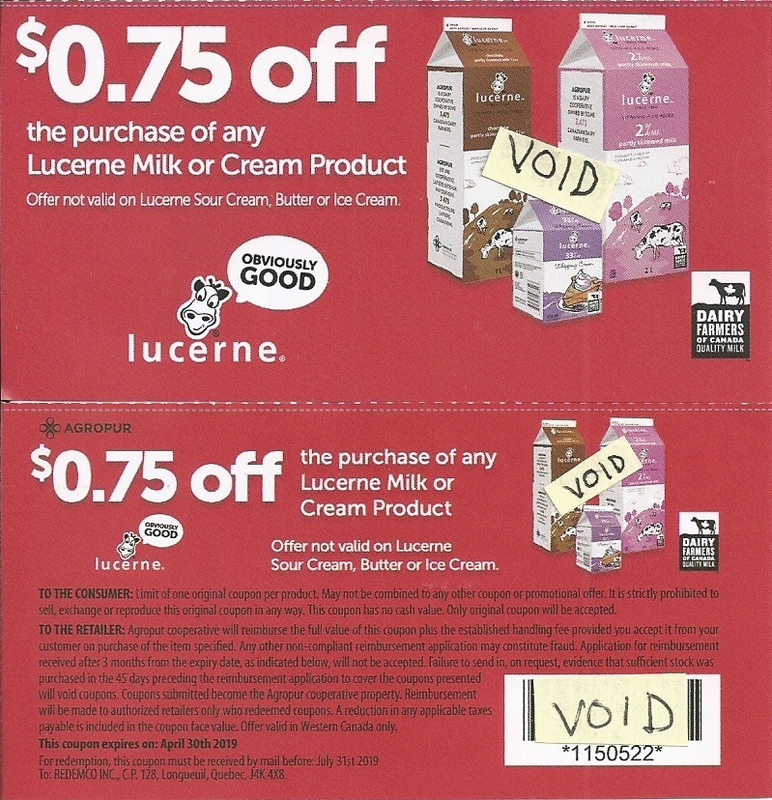 Here are a couple of coupons I got at a Safeway store in Vancouver. 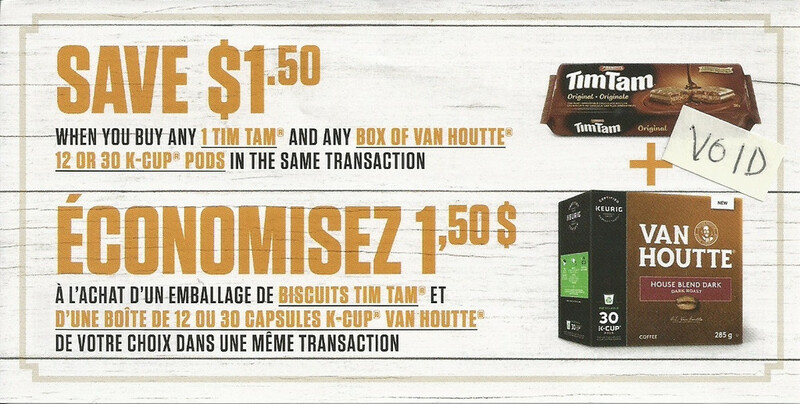 The Tim Tam/Van Houtte was from a sample rep and is similar to one that expired Jan.31 '19. The Maple Leaf was on a small display. kool_105, lotsasavings, Ladybug2011 and 1 others like this. From a Safeway store in Vancouver. 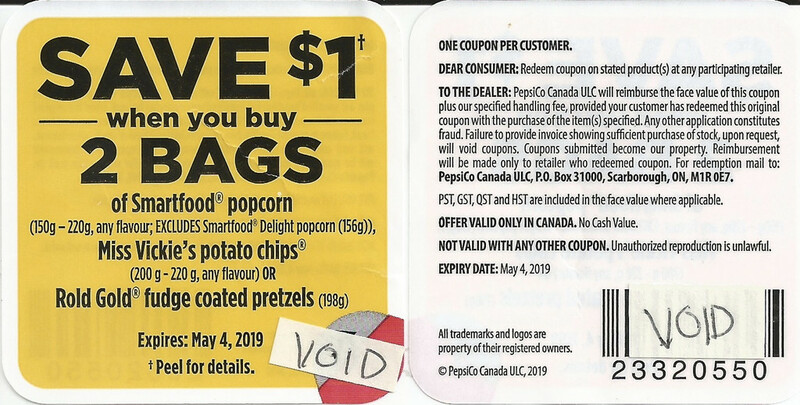 Expires May 31 '19. A couple more from Safeway. 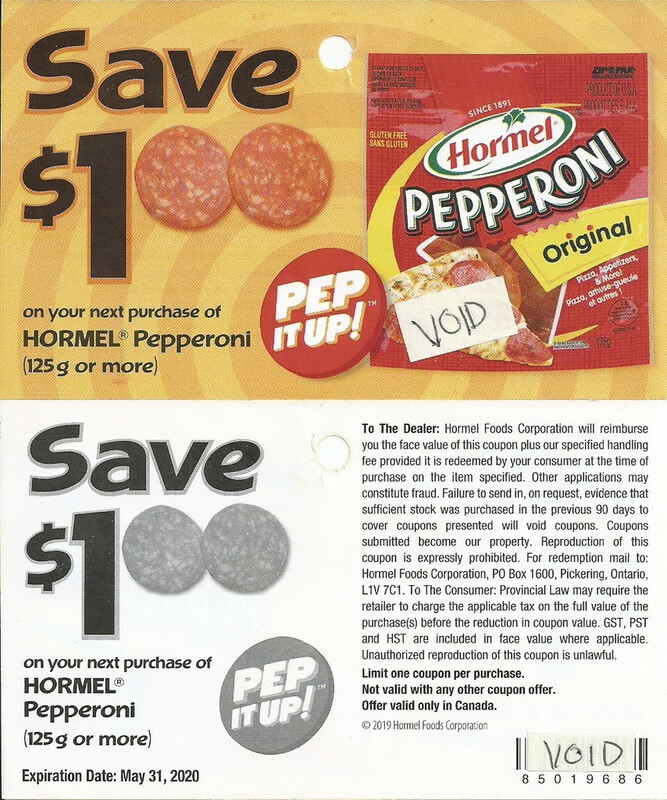 The Hormel was a tear pad near the product. 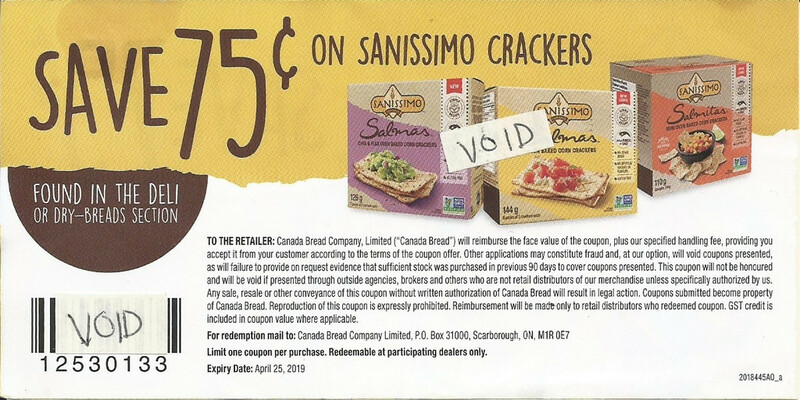 The Sanissimo was from a sample rep.
aussie, kool_105, lotsasavings and 1 others like this. Okay, here's the peelie for the Smartfood I think you're talking about. Last edited by mcminsen; Sat, Feb 9th, 2019 at 04:22 AM. rayray, kool_105 and Ladybug2011 like this. I've been on the hunt for it also. No sign yet that I've seen around Vancouver. Mind you, the last couple of days I haven't ventured very far as we're getting snowed in! Last edited by mcminsen; Tue, Feb 12th, 2019 at 11:38 PM. kool_105, Purdee, lotsasavings and 3 others like this. kool_105, lotsasavings and Ladybug2011 like this. Here in Calgary, I found them at a Sobeys. Went to 2 other Sobeys and nada. Very elusive! Purdee, lotsasavings, Ladybug2011 and 1 others like this. 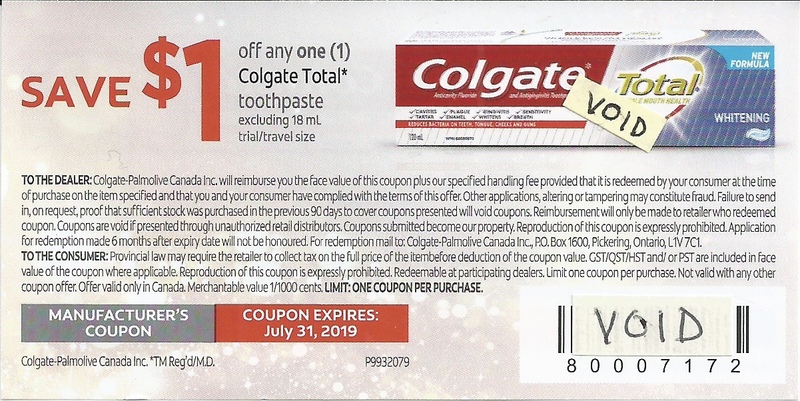 Here's a Colgate Total coupon I found on a freestanding display at a SDM in Vancouver. Last edited by mcminsen; Thu, Feb 14th, 2019 at 11:47 PM. rayray, kool_105, lotsasavings and 2 others like this. From a sample rep at Walmart. 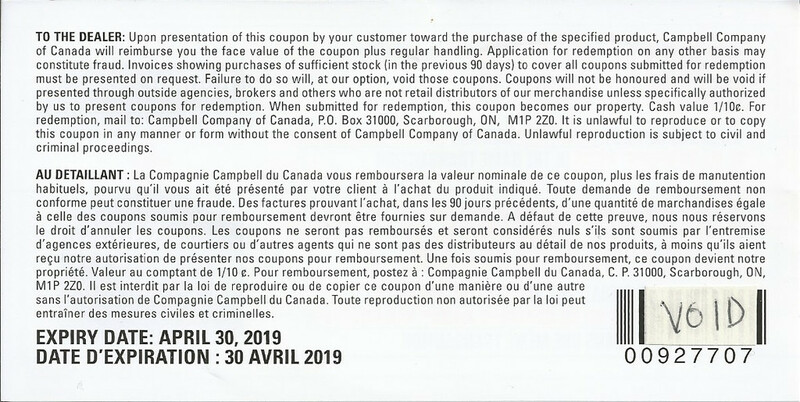 Expires April 30 '19. 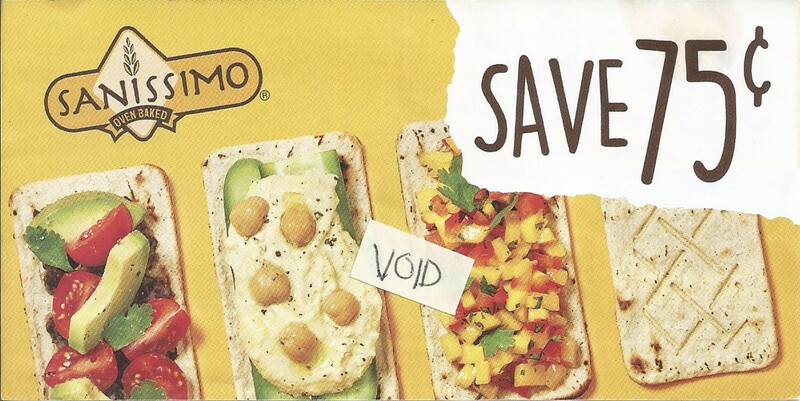 Last edited by mcminsen; Mon, Feb 18th, 2019 at 03:23 AM. kool_105, lotsasavings, Poirot and 5 others like this. 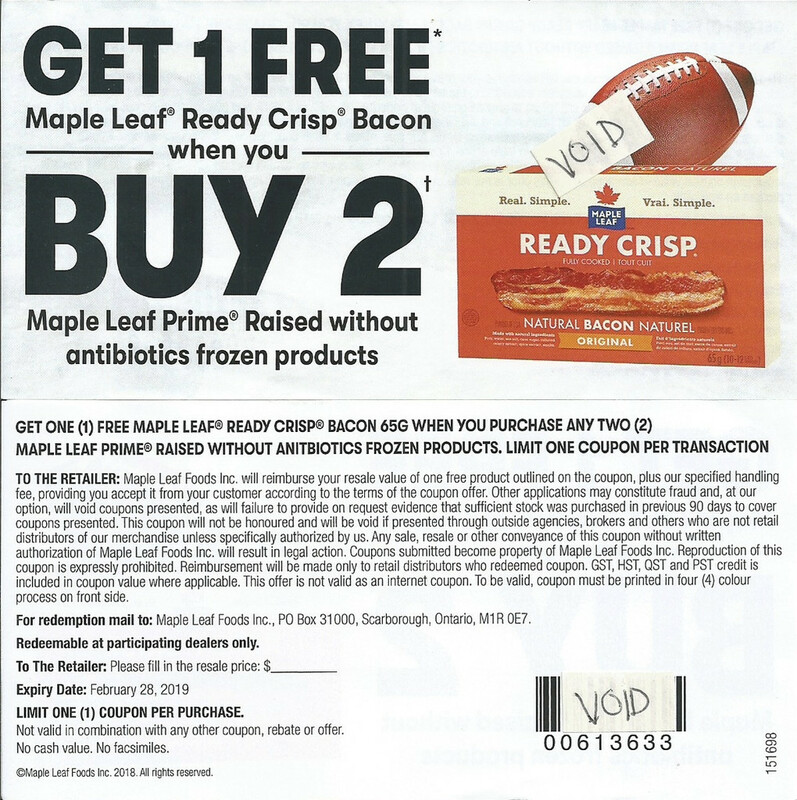 Maple Leaf booklet--it was not easy to spot! 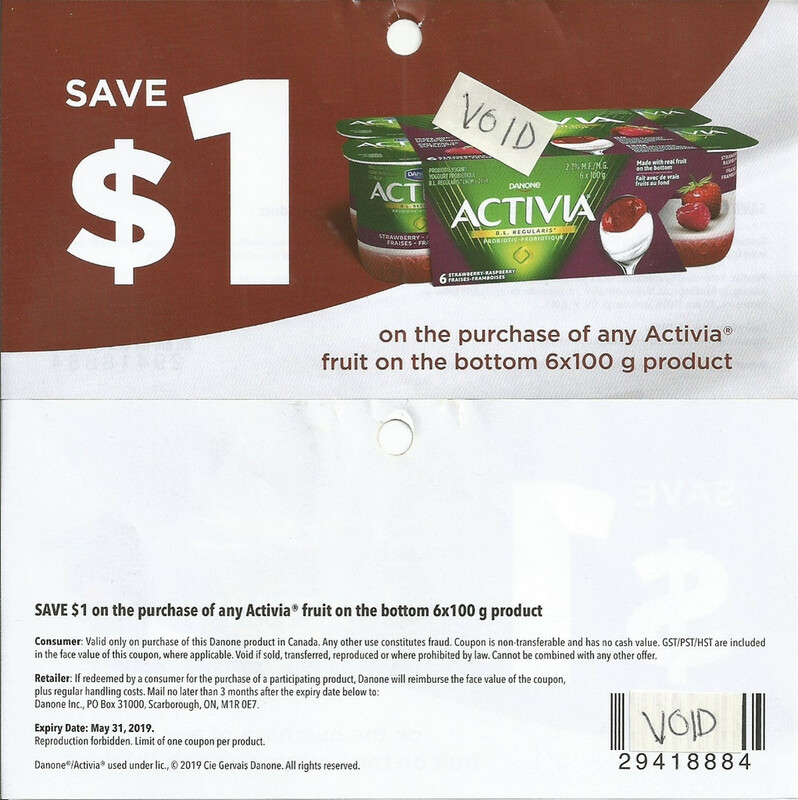 It's a thin small booklet that was placed in a plastic holder above the fresh meat section. If I hadn't known about it, I would have passed it by and never gave it a second glance. Sure glad I looked!! 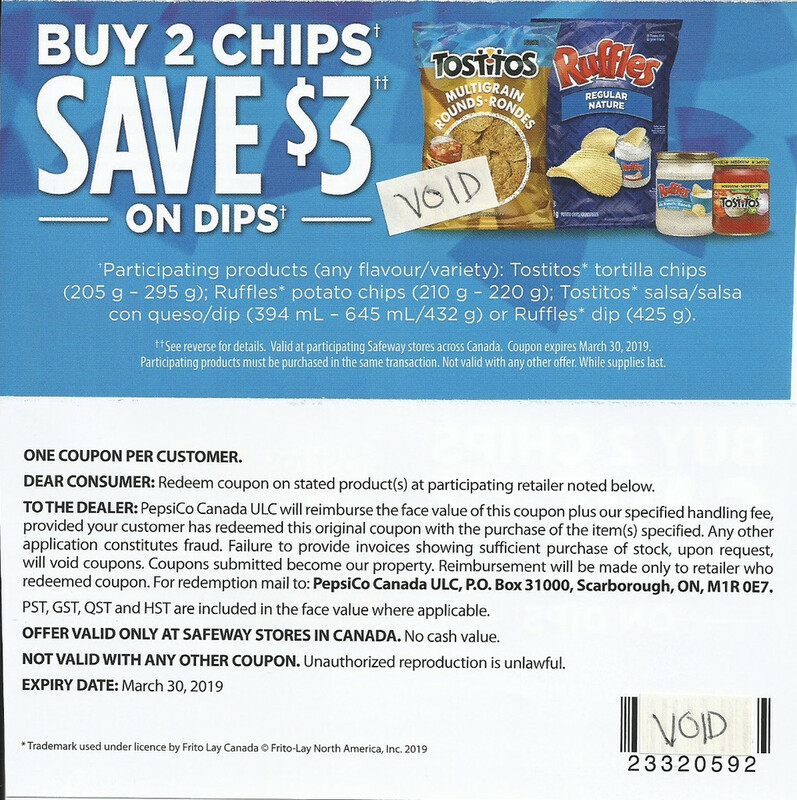 Found in my local Sobey's.